Home Meditation Learn Coffee Meditation for relaxation for winter. Learn Coffee Meditation for relaxation for winter. 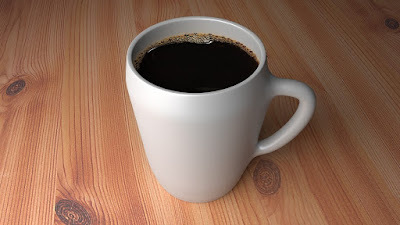 After you’ve made the cup of coffee, find a comfortable place to sit and take slow sips from the cup. Close your eyes (or at least relax them) and as you sip the coffee, feel the warmth of it as if it is being immediately absorbed into your whole body; awakening every cell while at the same time, soothing away stress and discomfort. Visualize golden, sparkly energy being released from each sip of coffee into your system. Once the cup is empty, open your eyes, stretch, and stand up again to end the meditation. The winter season brings a few unusual treasures into the supermarkets that are not there the rest of the year. Items such as wreaths and trees (frequently pine or fir), pinecones (often artificially scented however), and fresh cranberries. While the evergreens are not supermarket items in the strictest sense, they are available at this time and are usually a part of traditional winter decorating. It is a longstanding practice to bring greenery indoors during winter to add vitality and a renewed atmosphere into the home. It is a good idea to decorate from the front door (perhaps with a wreath on the door itself), through the home and finish at the back so that the life energy is fully invited indoors. However you may choose to decorate for the season: wreaths, evergreen garlands, bowls of ornamental pinecones or potpourris, and/or a Yule/Christmas tree, any or all of the decorations can be charged with the intention that they release their energies into the home. In general, the properties of the most prominent evergreens for sale—spruce, fir, and pine—are protective, purifying, strengthening, healing and vitalizing, so calling upon their power to fill your home has an uplifting effect on the atmosphere. To charge the evergreens, it is a good idea to bless them and give respect to the spirit of the trees from which they were taken.